Joan Snyder, age 75, of Bolivar, Missouri, passed away Saturday, November 24, 2018, at her home, in Bolivar. 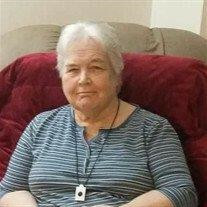 The family of Joan Snyder (Bolivar) created this Life Tributes page to make it easy to share your memories. Send flowers to the Snyder (Bolivar)'s family.